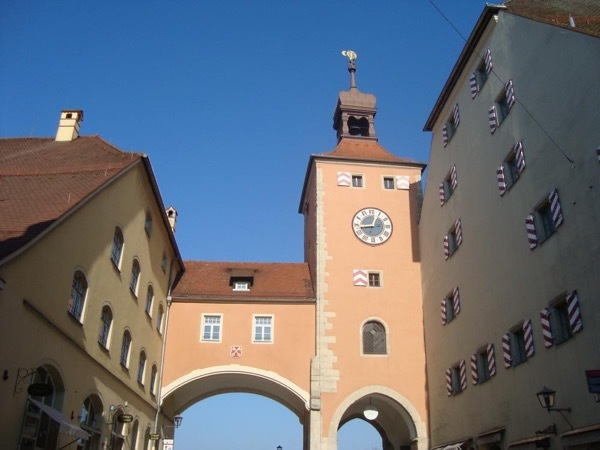 Experience Regensburg through the eyes of a local private guide! Browse our tour 'suggestions' - each can be customized just for you. Our Guide offers 1 unique (and customizable!) tour in Regensburg. When are you visiting? Our Guide offers 1 unique (and customizable!) tour in Regensburg. Regensburg, sitting astride the Danube River in Southern Germany, is one of Europe's best preserved medieval towns. Largely spared damage from World War II, its cobbled streets, fabled stone bridge and 14th century architecture have earned it status as a UNESCO World Heritage Site. Come and experience the city's many charms on a private Regensburg tour with a knowledgeable local guide. The city's history goes back to the time of Marcus Aurelius, and remnants of its Roman history are evident in stone walls and the arched Porta Praetoria. While strolling through the city's old centre, you'll definitely want to spend time at its centrepiece: the soaring gothic spires of Dom St Peter. Be sure to cross the 11th century Steinerne Brücke, the first solid structure to span the Danube. And of course your guide will leave time for a stop at a local café, the best place to sit and savour the history around you. Enjoy seeing the city with a local on your private Regensburg tour!